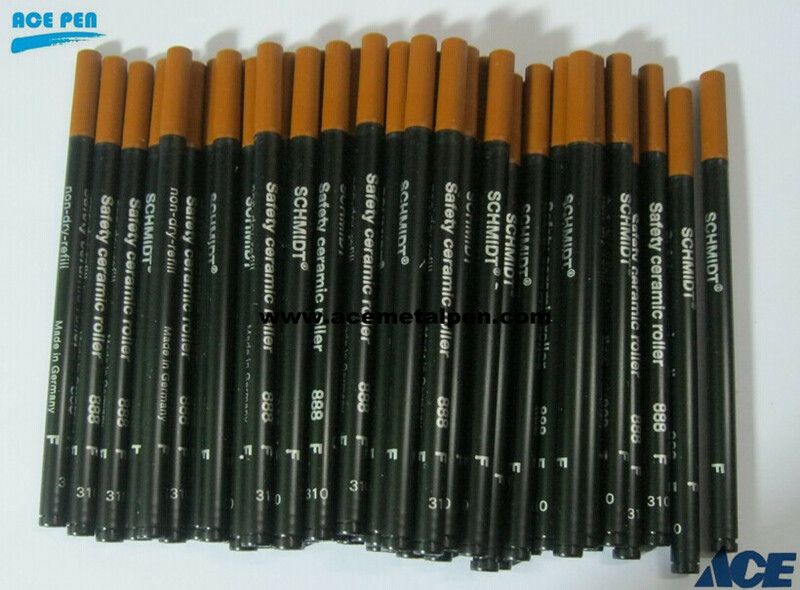 Schmidt 888 rollerball refill (plastic tube). Standard size - fits rollerball pens that use standard size refills. The Schmidt 888 refill utilizes a ceramic ball and quality German liquid ink to produce a very smooth writing experience, almost like writing with a fine fountain pen. With its advanced liquid ink technology, this refill is suitable for use in applications with significant cap-off time (e.g., capless rollerballs), and will not dry out for a full year, yet the ink will dry on the page almost immediately. 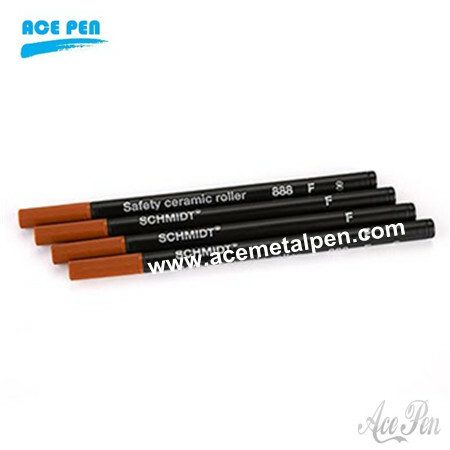 The Schmidt 888 rollerball refill, is a standard size refill made in Germany by Schmidt Technology. Will fit 98% of all rollerball pens which accept a European standard size refill. Fits most of these rollerball pens: ACME, Ancora, Aurora, Bexley, Bossert & Erhard, Colibri, Conklin, Conway Stewart, Curtis, Dani Trio, Delta, Ducati,Faber-Castell, Krone, Laban, Lalex, Lepine, Libelle, Mabie Todd, Marlen, Michel Perchin, Montegrappa, Monteverde, Nettuno, On line Pens, Omas, Porsche Design, Recife, Retro51, Romet, Rotring, Sensa, Signum, Stipula, Taccia, Think, Visconti, Waterford, Yard-O-Led and many more.